An amazing place with well furnished and cozy rooms. 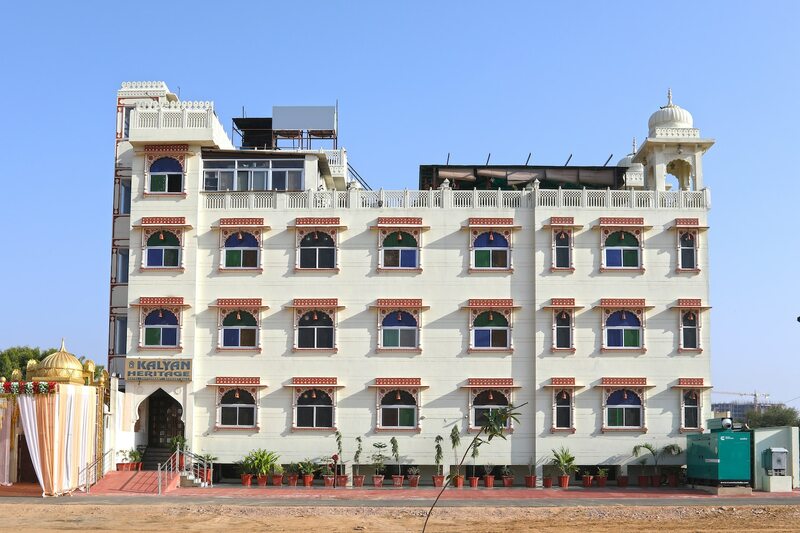 The rooms offered by Hotel Kalyan Heritage have been decorated and designed very elegantly. The well-lit rooms are very spacious, and the colour combination used in the rooms is quite soothing for the eyes. Beautiful and intricate patterns, along with the paintings adorn the walls. The rooms are well-furnished and have been provided with large windows. The additional facilities provided by the hotel are free Wi-Fi, a constant power backup source, parking provisions, a room heater and a hair dryer in each room, card payment in all forms, an elevator facility, laundry provisions, and CCTV cameras. The in-house facilities include a common dining area, a banquet hall, a conference room, a restaurant, and a common lounging area that the guests can use as per their need.